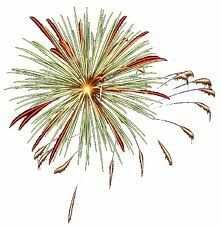 The Music for the Royal Fireworks (HWV 351) is a wind band suite composed by George Frideric Handel in 1749 under contract of George II of Great Britain for the fireworks in London's Green Park on 27 April 1749. It was to celebrate the end of the War of the Austrian Succession and the signing of the Treaty of Aix-la-Chapelle in 1748. It was scored for a large wind band ensemble consisting of 24 oboes, 12 bassoons (and a contrabassoon), nine natural trumpets, nine natural horns, three pairs of kettledrums, and an unspecified number of snare drums. Handel was specific about the numbers of instruments to each written part. 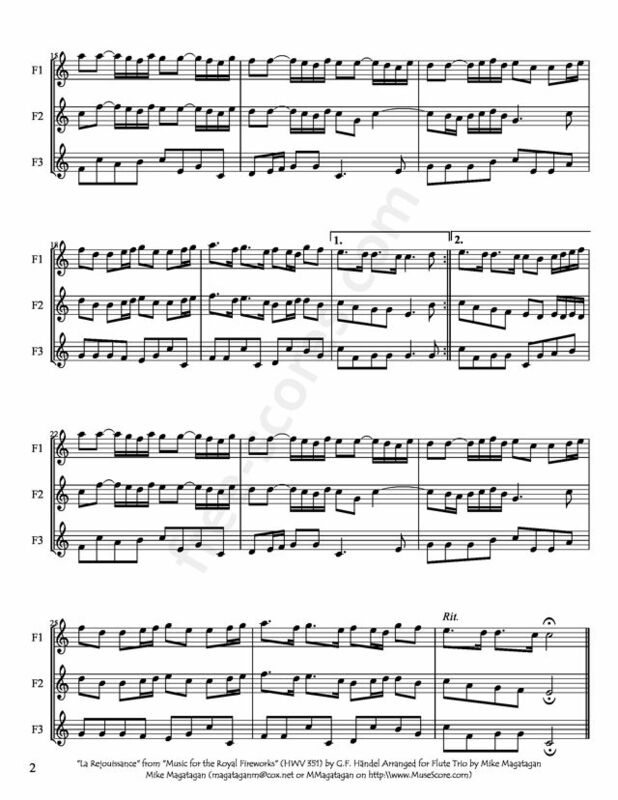 In the overture there are assigned three players to each of the three trumpet parts; the 24 oboes are divided 12, 8 and 4; and the 12 bassoons are divided 8 and 4. The side drums were instructed when to play in La Réjouissance and the second Menuet, but very likely also played in the Ouverture. 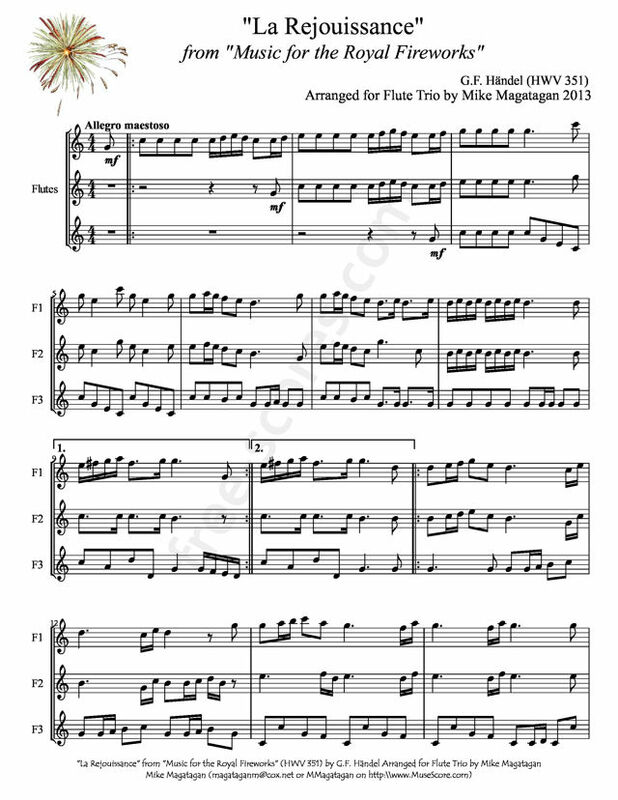 Although originally written for large wind ensemble, I created this arrangement for Flute Trio.